Are you passionate skiers and winterers? Would not it be a fancy gift to give a very personal reminder album with photos from the winter holiday? It is a gold book photo album with 20 sheets / 40 pages. Available with black or white leaves. The handmade cloth bag is pulled over and thus the drawing is protected got them a dirt-repellent surface coating. This means you can the Stoffhülle quiet sometimes wash without anything happening. 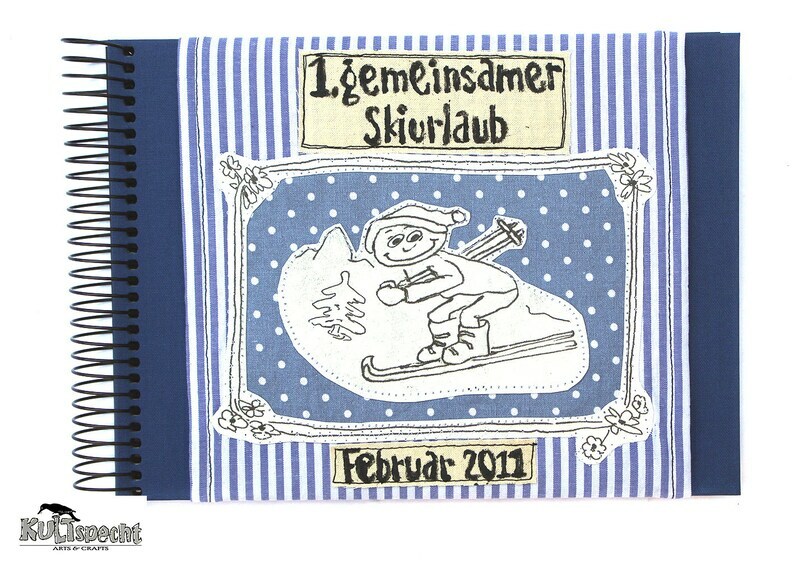 The label is hand-printed and with labeling in English also possible (Ski holydays). Only the year and the standard text modules: "Ski holiday" or "1st joint skiing holiday" or "Winter holiday" are included in the price. For an extra charge (4, - €) is also an even more individual inscription possible eg added names ... or other. In this case, please make a request for special production! In the Comments field, please also specify whether black or white leaves?